For almost 30 years now Project Plant gardens have bloomed spring, summer and fall, greeting visitors and cheering Athenians. This year our flagship traffic island garden at the Route 33 entry to East State Street, above, practically floated in the long, cool wet spring. Our signature purple and red tulips carried on nicely in April and May against a backdrop of purple and yellow winter pansies. Then Five Springs Farm and Nursery, our contractor for the island, removed and recycled the bulbs, improved the soil, and a hardy band of Project Planters put in hundreds of annuals for the summer display. 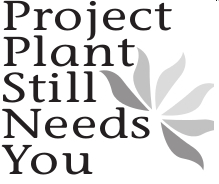 Many of those same volunteers plant, weed, and water, although not so much of the latter this year, at Project Plant’s other civic gardens including the landscape beds at the Athens County Library on Home Street and at gardens around the Athens County Convention and Visitors Bureau offices at Mansfield House, 667 East State Street. 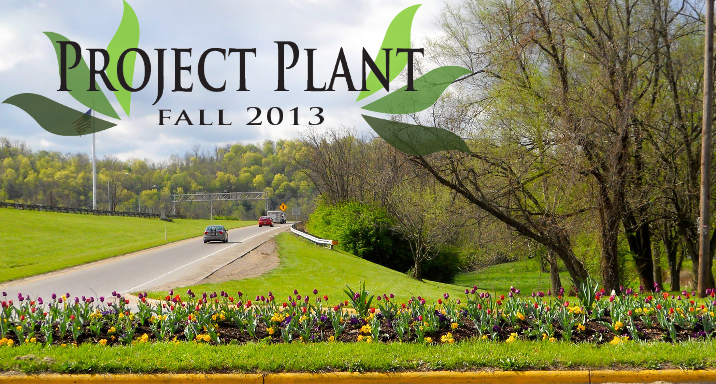 Project Plant also has gardens at the Madison Avenue – East State intersection, the Stimson Avenue–East State intersection, and on Columbus Road near WATH. Michelle Douglas of Fine Lawn Care planted and tended those last three gardens for us this year. Athens blooms thanks to you. a City dump truck, a nifty little machine called a Bobcat, one Parks and Rec director, a half dozen Project Plant volunteers, and you have the ingredients for another successful OU Beautification Day. 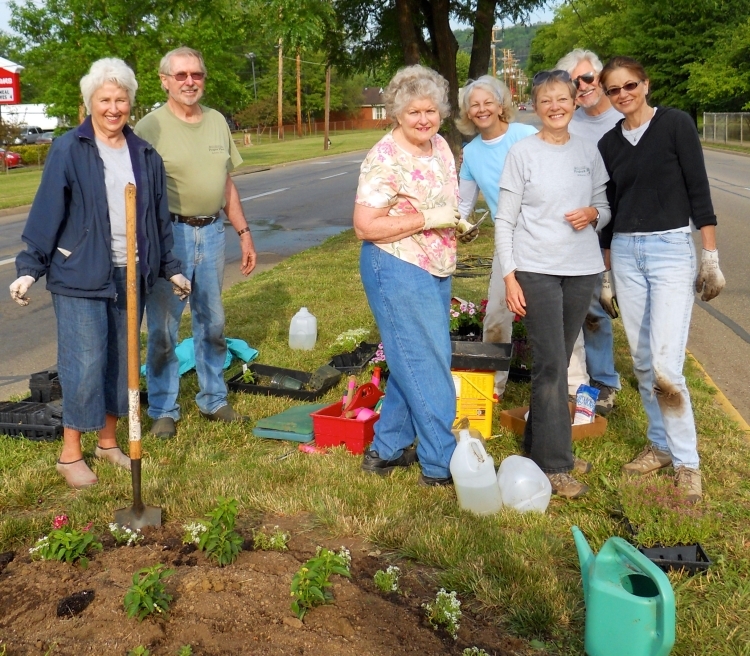 On April 14 all this came together and the Community Center landscape beds along East State Street got mulched in less than 2 hours. It would have taken us weeks to do this, and we would not have been still frisky like the wonderful Bobcats in the photo above. 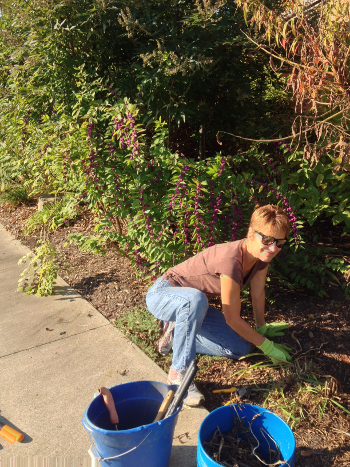 Project Plant volunteer Joyce Hanenberg weeds in the Athens County Library gardens.